Craft beers, Fine Wines, and an Irish Pub stop to boot! 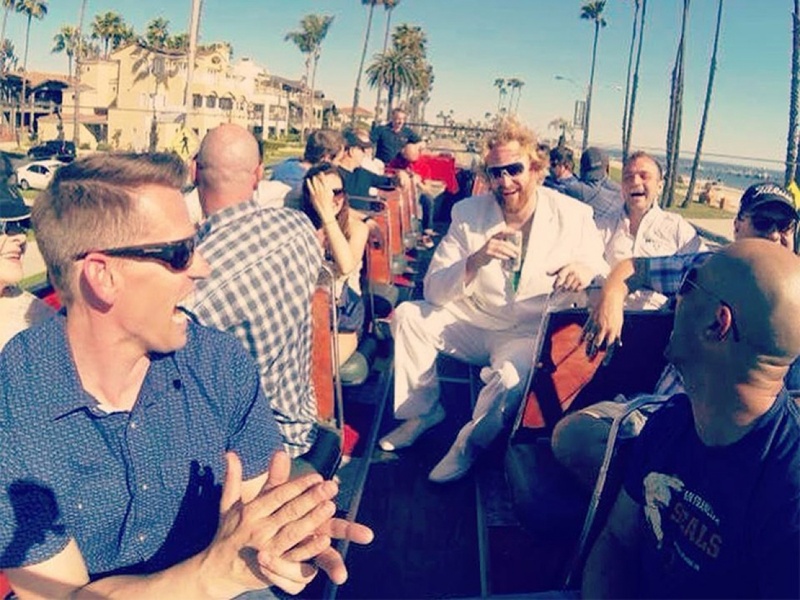 Get the group together and jump on the bus for the Socal Sampler; this specially designed event offers a large group with a fun, well rounded party experience with unbelievable variety! Our first stop on the Socal Sampler is Brix in Sunset Beach. At Brix your party people will have the option to enjoy either 4-2oz taste of select wines, or 5-3oz taste of European Craft Beer. Very few venues can offer an educated sampling in both beer and wine; Brix in Sunset Beach not only does it well, but does it with flare! Following Brix, we'll gently roll along our gorgeous coastline to Gallagher’s Irish Pub in Long Beach, where tasty pub-style appetizers will be waiting for us upon arrival. Great food, friendly staff (and pretty I might add), and one the coastlines finest pints of Guinness, best describe this traditional neighborhood Irish Pub. This event has great value and loads of appeal for people looking for something a little different for their next get-together.